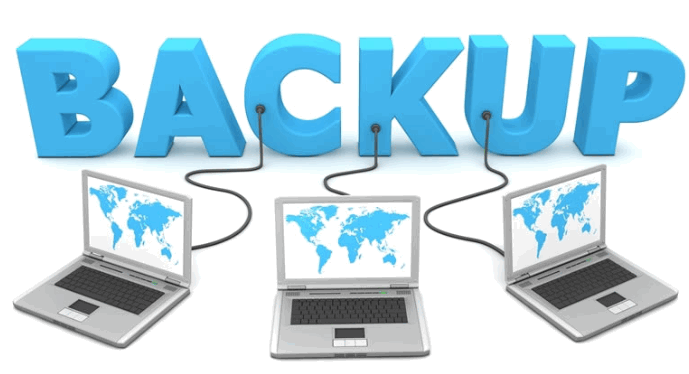 Data backup is the activity of copying files or databases from where they were originally stored to other places. The purpose is to protect data in the event of a device failure or other disaster that threatens data security, minimizing data damage. The process of retrieving a previously backed up file is called recovery data. Full backup. The advantage of this backup strategy is when a disaster of data loss occurs. You can quickly recover lost data. The downside is that the entire system is fully backed up every day. The data that caused the backup was largely duplicated. For users with heavy business and limited backup time, it is not wise to choose this backup strategy. Incremental backup. Perform a full backup first, and only back up the new or modified data for the next time. The advantage of this backup strategy is that it saves disk space and shortens backup time. The disadvantage is that when a disaster occurs, data recovery is more troublesome. The reliability of backups is also very poor. Differential backup. Perform a full system backup first, in the next few days. Back up all the data (new or modified) that was different from the backup to the disk on that day. The differential backup strategy avoids the shortcomings of the above two strategies. It has all its advantages. First, it does not require a full backup of the system every day, so the backup time required is short and disk space is saved. Second, its disaster recovery is also very convenient. In the event of a problem, the user can restore the system with a full backup and a backup the day before the problem occurred. Identify security threats to your data. Completely examine the physical environment and software environment in which the entire system is located, and analyze the factors that may cause damage to the data. Identify sensitive data, sort and classify the data in the system, and rank by importance and potential for damage. Evaluate the data that will be backed up. According to the backup data, the size of the data storage medium, and the growth of the backup data as the system runs, to determine the backup method to be taken. Determine the method and tools for the backup. 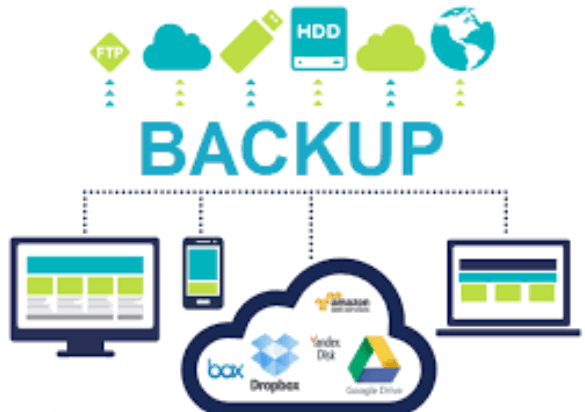 Based on the results of the third step, the budget of the data backup, and the importance of the data, choose a backup method and backup tool. Equipped with corresponding hardware devices to implement backup work. The storage media used for data backup can be divided into floppy disk, tape, removable storage, removable hard disk, local hard disk and network. Selecting one of a variety of different backup media, the most important one is the matching of data size and storage media size. Floppy disk backup. The floppy disk backup speed is slow, unreliable, and small in capacity. Often used to back up data that is not very important. Tape backup. From many perspectives, tape backup is still a suitable data backup method. Tape backup capacity is moderate, relatively economical, reliable, and simple and versatile. Removable storage backup. Removable storage devices are popular because of their high cost performance. Common types are large-capacity equivalent floppy drives, removable equivalent hard drives, one-time recordable or re-recordable optical drives. Removable hard drive backup is a good backup solution. It has the advantages of high performance, strong random access, standardized interfaces, easy exchangeability and excellent reliability. The disadvantage of removable hard disk backup is that the media cost is high and the hard disk itself is relatively fragile. In addition, hot swapping is not fully possible, which is very inconvenient for some systems that must continuously run the computer. This machine has multiple hard disk backups. The advantage of the multi-hard disk backup of this machine is that it is easy to use and can be configured to automatically complete the backup work. Disk-to-disk replication performance is very high, and the corresponding cost is very low. The shortcomings of the local hard disk backup are also very deadly. First, it does not protect the data on the hard drive from many threats such as fires, thieves, computer viruses, and so on. Second, backups with native hard drives can only back up data one by one, making the entire system vulnerable. The best solution is to use it in conjunction with the removable backup method. Network backup. This backup method is commonly used to back up small and medium-sized computers without tape drives and other removable backup media. Network backup is the process of copying data to another computer on the network. The disadvantage of network backup is that the congestion caused to the network during backup is very serious, and the time required to back up the data is excessively dependent on the transmission speed of the network. Data backup can be divided into enterprise data backup and personal user data backup. Enterprise data backup has the characteristics of large data backup, high security and security requirements. The operation is relatively complicated and the user rights management is strict. Personal user data backup is much easier to operate, backup tools are available everywhere, but data confidentiality is poor. But whether it is enterprise data backup or personal user data backup, it is very necessary. The data backup here is for individual users. (3) Sometimes when you encounter a special situation, you need to do temporary backup work.